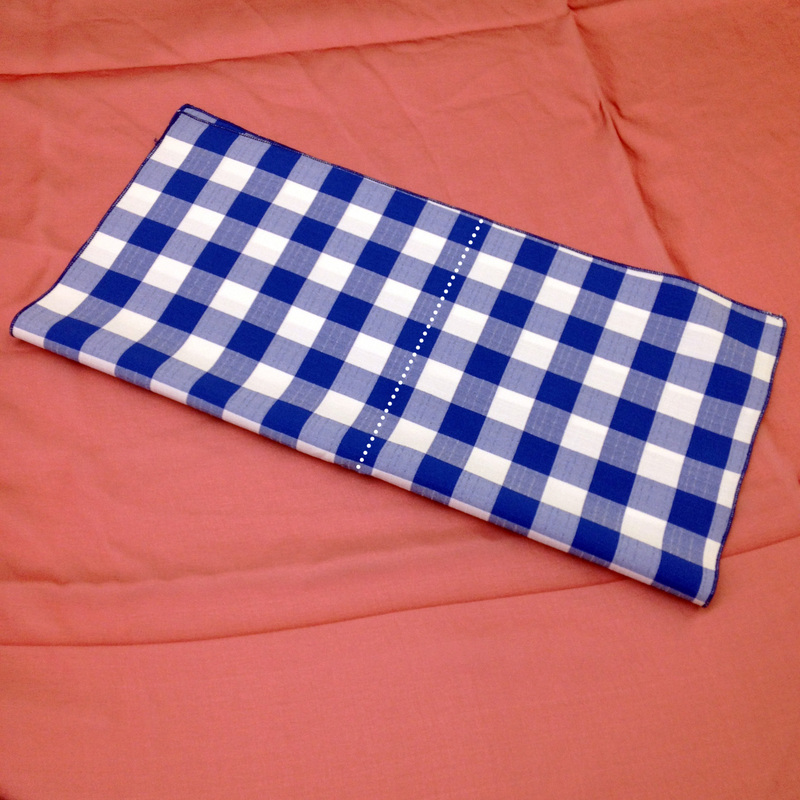 With spring comes visions of summer – picnics in the park & dinners on the deck are usually what I have in mind. Though most people wouldn’t think of using our rentals for the casual outing, they can come in handy for that big family reunion or 4th of July party your planning. 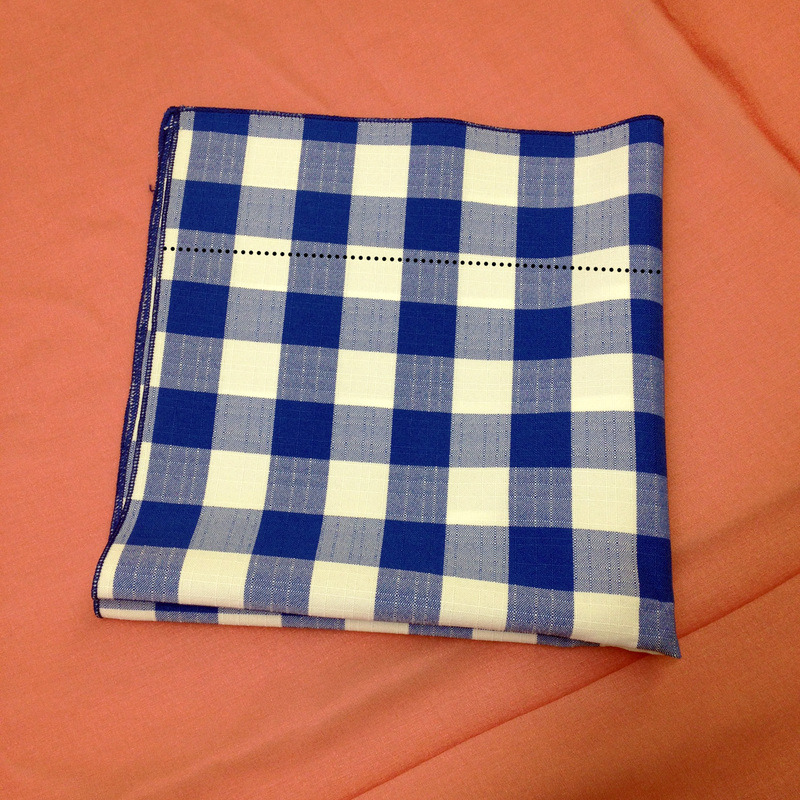 So we though this week we’d highlight our Blue and White Checked (gingham) Napkins in our DIY fold. 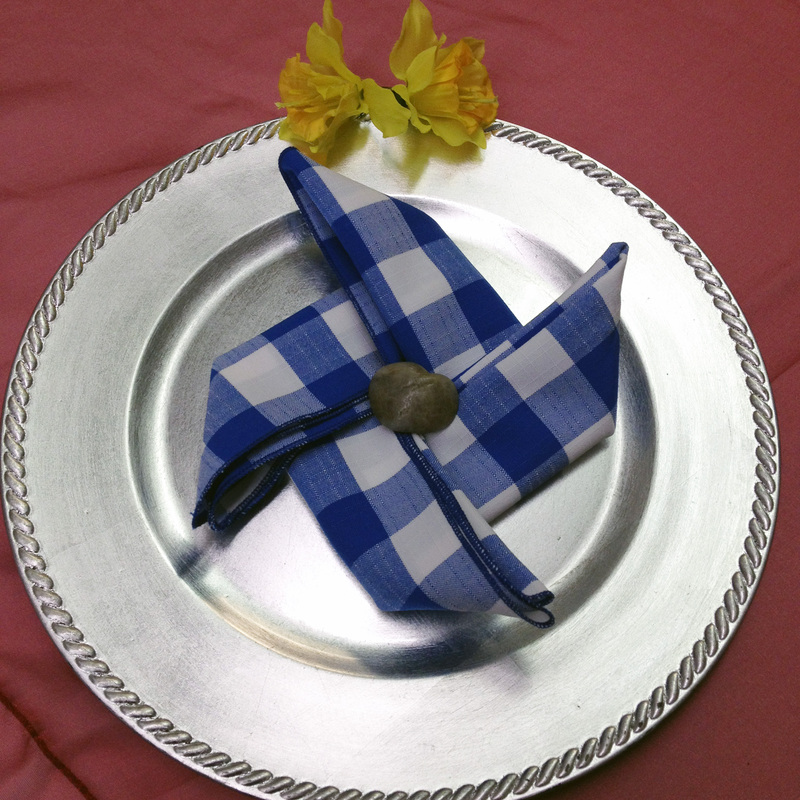 And what better way to feature the summery pattern than with the equally summery Pinwheel napkin fold! 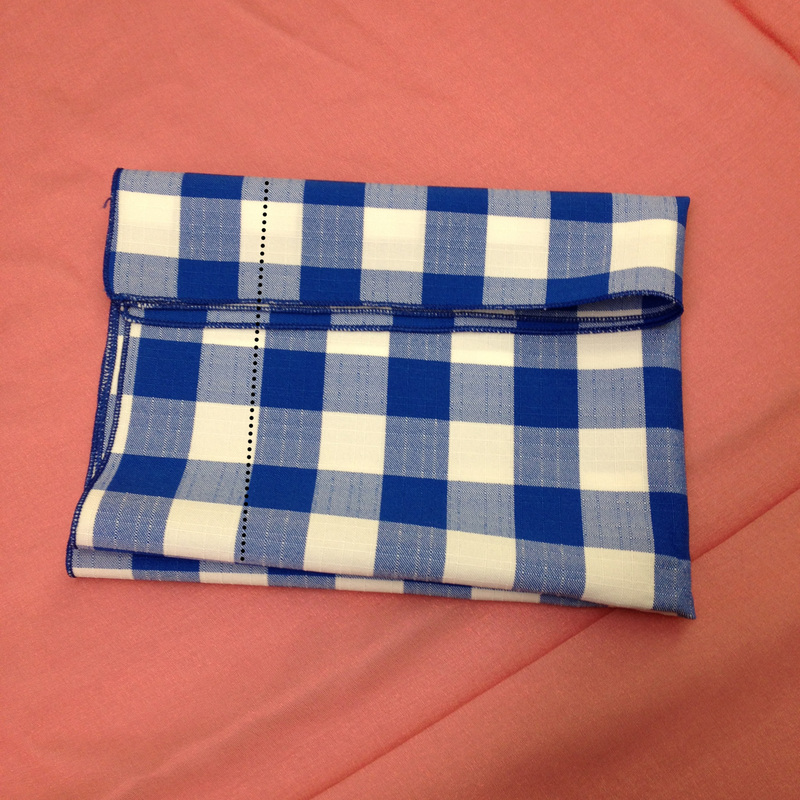 For this fold you will need one of our 20×20 Blue & White Check Napkins. 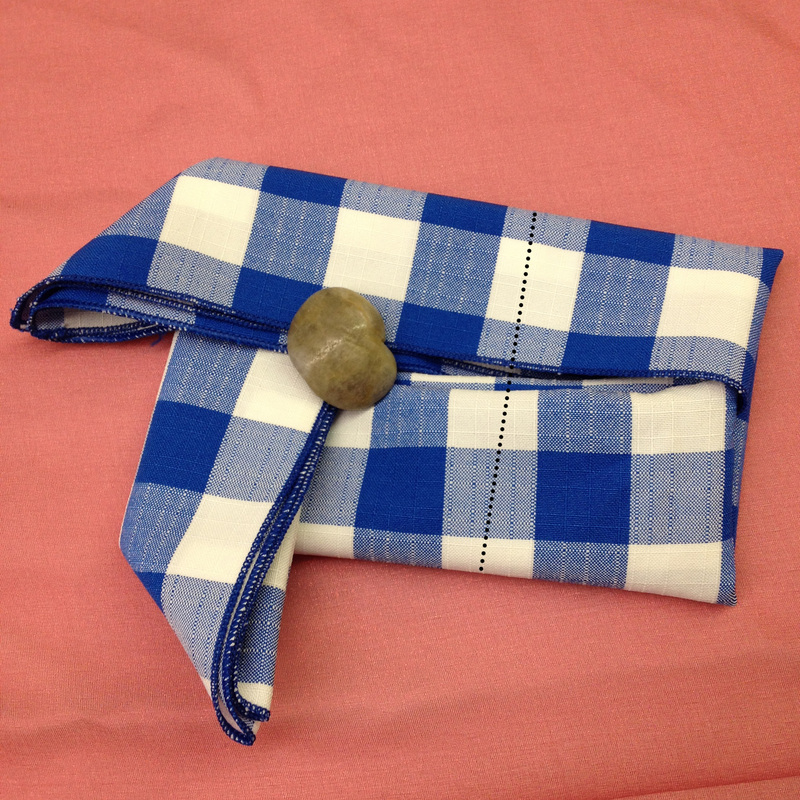 I also used a small river rock to keep the napkin in place (great for outdoor events) but if you iron the folds it’s not needed. 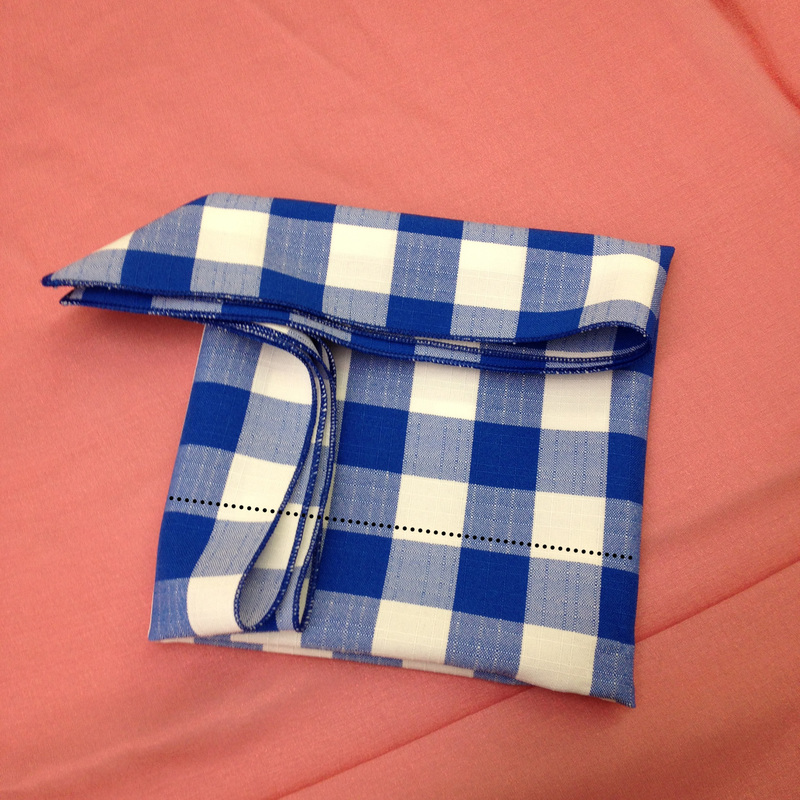 Step one: Fold the napkin in quarters: fold in half so it make a rectangle and then fold in half again to make a small square. 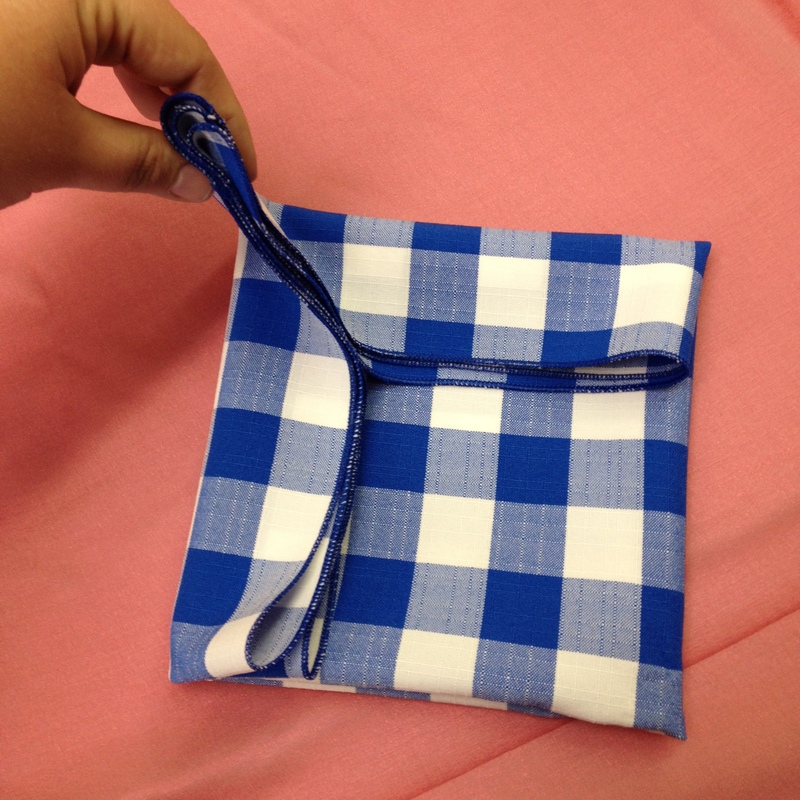 Step two: Fold the top side of the napkin down so it’s edge is at the middle of the square – approximately 2.5″ down. Step three: do the same on the left side but as you do, pull the top corner up so it makes a triangle where the edges meet (see next photo). 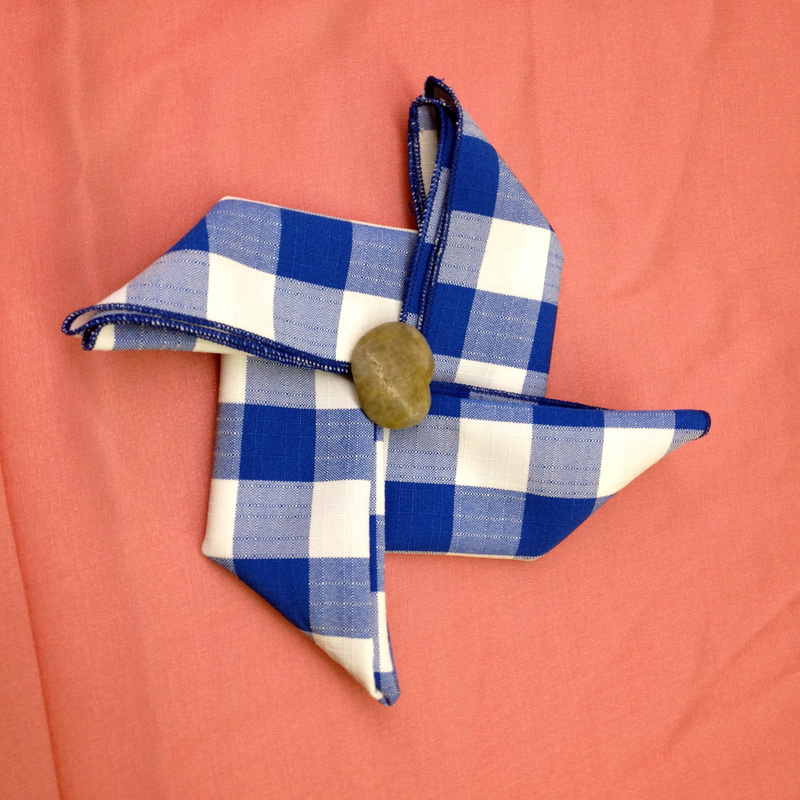 This creates one point of the pinwheel and will be repeated at each corner – lay the corner down with the left side tucked under the top. 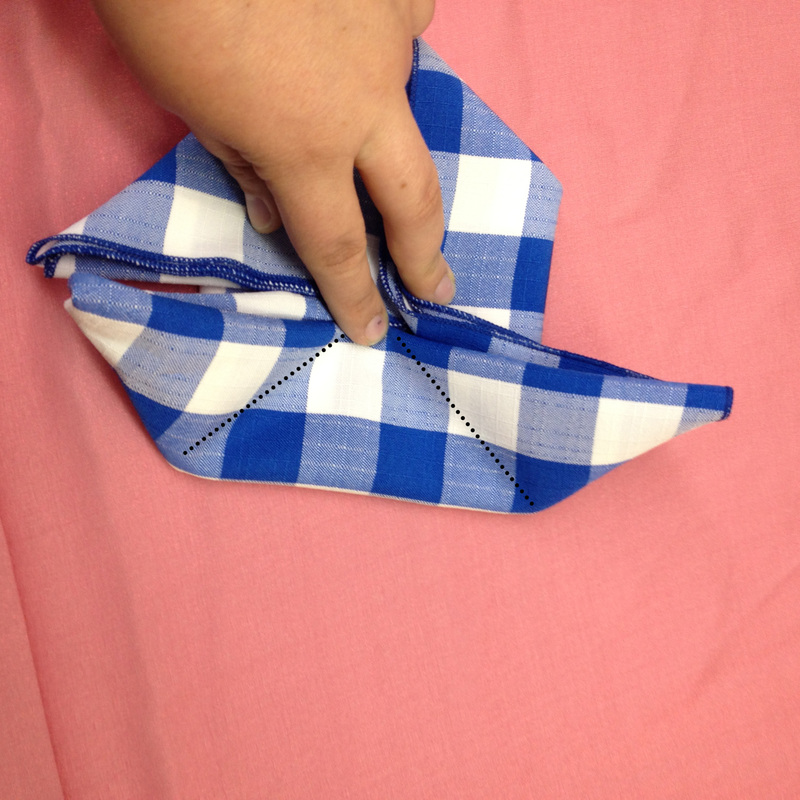 Step four: Repeat this fold on the bottom edge, tucking the bottom under the left side. Step Five: Repeat again – this is the trickiest part of the fold so I snapped a few photos as I went. This will create two points – make sure the bottom point is folded over to the right (resulting in the right side being tucked under the bottom) and the top point stays where it is (with the bottom tucked under the right). And there you have it! 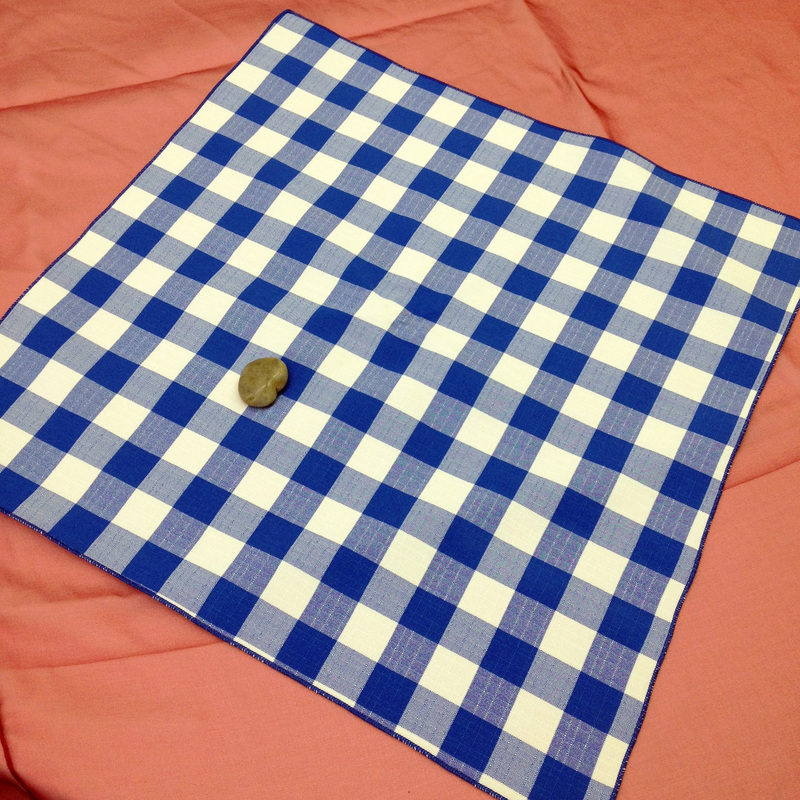 Since I didn’t iron the folds the napkin would have unfolded itself as soon as I let go – so I grabbed a small river rock to weigh it down. Plus it adds a cute finishing touch. Place it on a charger, add some flowers and you have an adorable and whimsical start to your summertime event! As always, thank you for checking out our blog! We’d love to hear from you if there’s a topic you’d like to see us cover – email us at beyondelegance@beyondelegance.com or leave a comment. 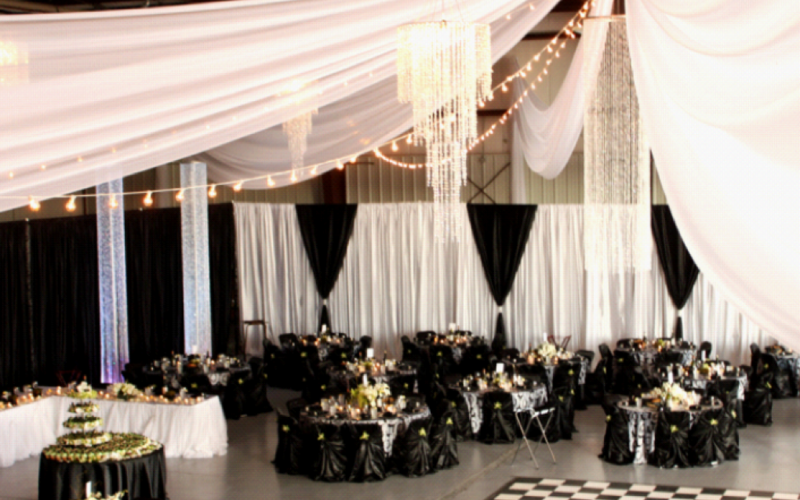 Make sure to check back next week for a post about some more of 2014’s biggest wedding trends!